With deep red walls, a carpeted floor, leather chairs and a roaring log fire, The Goring Bar and Lounge is the epitome of opulence. Run by Irish rogue Brian Kinsella, it's five-star quality without the pretention and proves the perfect destination for an intimate evening drink or a relaxed afternoon beverage. The bar stocks drinks from around the world, including hundreds of reserve malt whisky and vintage wines from the Goring Cellar - the knowledgeable staff are on hand to offer advice. There's also an extensive bar menu that features dishes such as lobster omelette and a club sandwich. 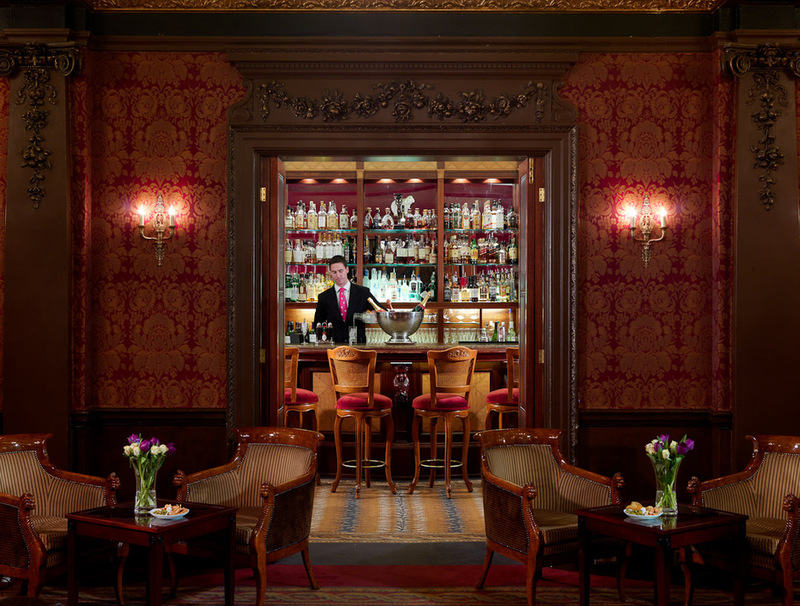 The Goring Bar and Lounge clubs, bars, cabaret nights, casinos and interesting nightlife. What are the best dining options near The Goring Bar and Lounge London? The Goring Bar and Lounge gyms, sporting activities, health & beauty and fitness. The best pubs near London The Goring Bar and Lounge. Where to have your meeting, conference, exhibition, private dining or training course near The Goring Bar and Lounge. From cheap budget places to stay to luxury 5 star suites see our deals for The Goring Bar and Lounge hotels, including The Goring Hotel London from 74% off.